Both BOTOX® and the various available dermal fillers are effective, non-surgical skin care methods used to correct the signs of aging. These procedures are often confused as being synonymous, however the truth is that not only do they address different concerns, they do so in very different ways. BOTOX® is one of the most sought out skin care treatments for patients looking to prevent or reverse the signs of aging in their face. Soft tissue fillers, injections commercially known as Juvederm, Perlane, and Restylane, are composed of hyaluronic acid - a naturally occurring substance in the body which adds volume to the skin. Elevate and fill deep folds and shallow contours, such as gaunt cheeks. While BOTOX® works by reducing the activity of the facial muscles which cause wrinkles, soft tissue fillers fill in the trouble areas with collagen, plumping up the skin and filling any creases. What Kind of Skin Concerns Do You Want To Address? BOTOX® is a better choice for treating dynamic wrinkles - those that occur when your face is in motion or making an expression as it will reduce their activity and visibility. These are usually found in the forehead or around the eyebrows. Dermal fillers are best used for static wrinkles - those that are visible even when your face isn’t in motion. This includes areas which are hollowed out and have experienced significant volume loss as they will benefit from the fullness that facial fillers provide. 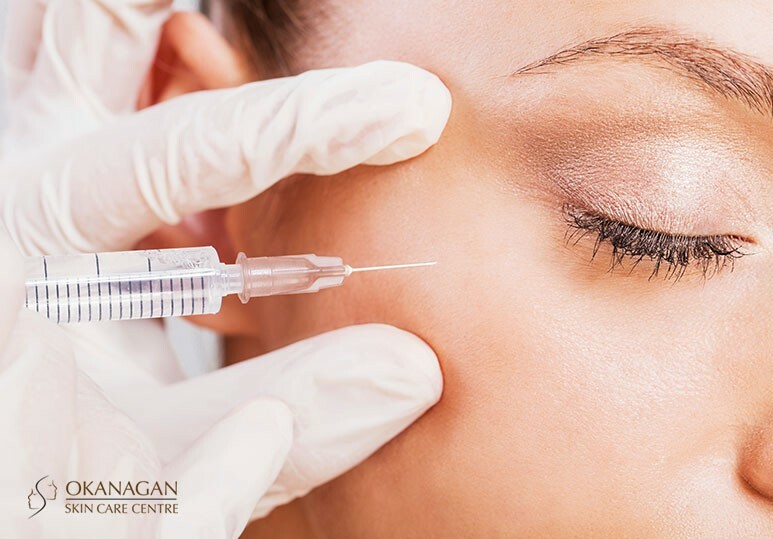 A growing trend in aesthetic medicine is to use both BOTOX® and a dermal filler for a combined approach to rejuvenation and correction. Used together, these two skin care treatments can produce a synergistic effect which lasts longer and looks much more pleasing. For a personalized consultation on which skin care treatment would be best for you, contact our Okanagan Skin Care Centre at 250-868-9290 or book a consultation today.